Enjoy fun and fashion all in one with this beautiful versatile CHARM IT! 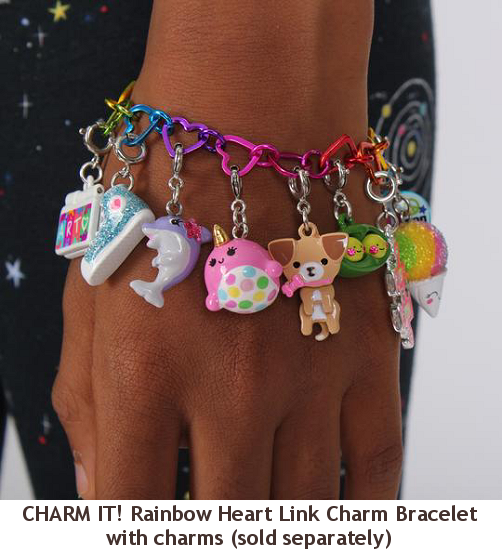 Rainbow Heart Link charm bracelet. With hearts in the colors of the rainbow - yellow, orange, red, dark pink, light pink, purple, blue, green - this amazing CHARM IT! 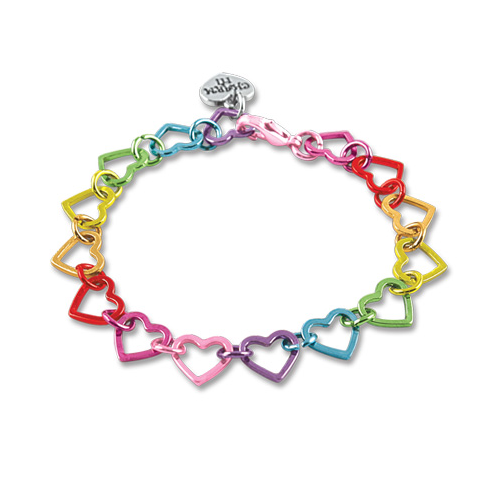 rainbow heart link charm bracelet looks awesome on girls of all ages... girls, teens, and "in-be-tweens." Quickly and easily add CHARM IT! 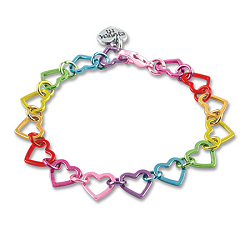 charms to this colorful heart charm bracelet with the simple snap of a clasp.